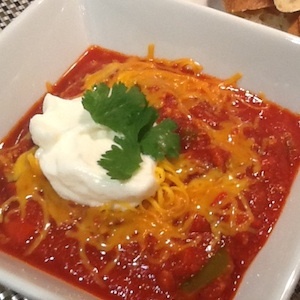 Quick and delicious turkey chili. Healthier than using ground beef. Excellent served with sour cream, shredded cheese and a garnish of cilantro. Great for those cold days to warm you up.